A search for answers to Rosacea causes, cures, and treatment for this skin condition starts with knowing that there are different casuses creating different subtypes. Rosacea is a chronic condition of the skin that is characterized by flare-ups and remissions. It usually begins around the age of 30 and usually presents itself as redness on the nose, chin, cheeks, or forehead. Though it is more rare, it can also occur on the scalp, chest, neck, or ears. Over time, the redness can become more persistent, sometimes showing blood vessels. When untreated, pimples and bumps can develop, and—in severe cases—excess tissue can develop causing the nose to become swollen and bumpy. Eyes can also be affected, which causes irritation and the appearance of being bloodshot or watery. There are four primary subtypes of rosacea. Subtype 1 – This type is characterized by persistent and flushing redness, including visible blood vessels. 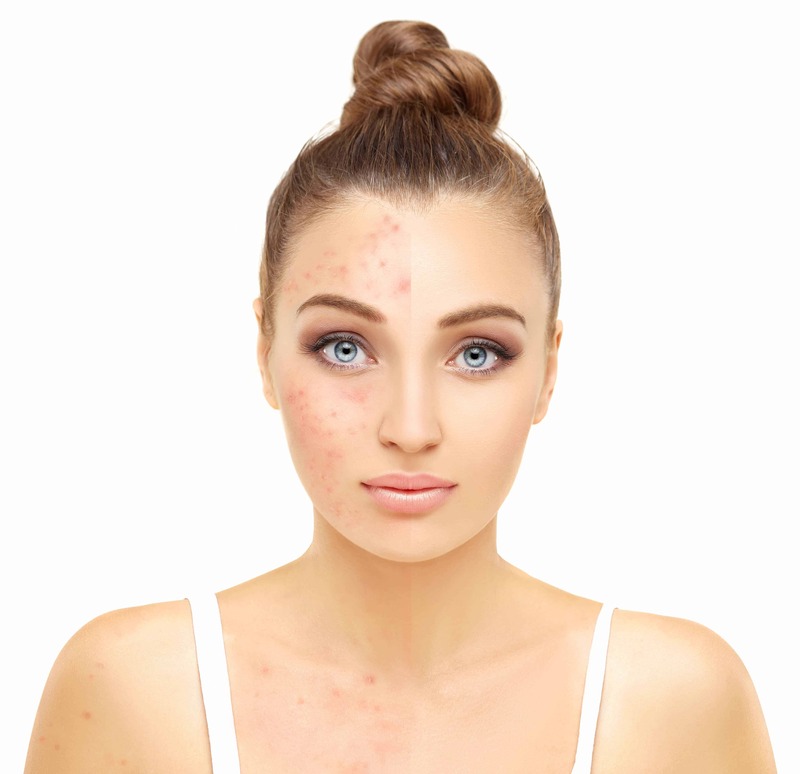 Subtype 2 – Subtype 2 often has persistent redness with transient pimples and bumps. Subtype 3 – The third subtype has skin thickening, which often results in an enlarged nose from excess tissue. Subtype 4 – The final subtype affects the eyes with symptoms such as burning and tearing, dry eye, swollen eyelids, recurrent styes, and potential loss of vision from corneal damage. There has been no defined underlying cause of rosacea. Ongoing research will hopefully lead to improvements that can ultimately lead to prevention. According to the National Rosacea Society, it can affect anyone. However, those that flush easily and have fair skin tend to be at the greatest risk. It is primarily found in women, but when it is presented in men, they tend to have more severe symptoms. Unfortunately, no cures have been found for rosacea. Significant progress has been made at determining causes, which can then help discover cures and/or prevention for the disease. That said, treatments are available that can help reverse and control some of the symptoms. If you have a skin condition, we recommend that you consult your dermatologist or physician. Depending on the subtype, some rosacea can be treated with medications, both topical and oral. Derma Sweep: This multi-level skin resurfacing system exfoliates and revitalizes skin. Viva Fractional Skin Resurfacing: The Venus Viva uses SmartScan technology as well as NanoFractional Radio Frequency to remove pigment irregularities, tighten skin, and improve skin tone and texture. Do you have questions about rosacea and if Indy Laser can help? Give us a call. We would be happy to create a customized skin care package to meet your individualized needs to treat rosacea.